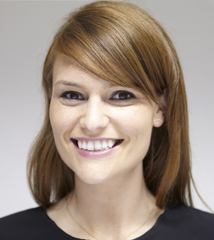 As a hygienist Ciara believes that prevention is paramount in achieving good oral health, and particularly enjoys educating her patients on the benefits of good oral hygiene habits in a way that suits each individual and works around their busy lifestyle. Having graduated with first class Honours from the University of Portsmouth and the winner of the Dame Margaret Seward award in Dental Hygiene and Therapy, Ciara moved to London and joined The Wellington Clinic. As a therapist she is able to perform routine dental procedures such as fissure sealants, extractions and nerve therapy on children, as well as fillings on both adults and children. Ciara prides herself on keeping up to date on the latest techniques available and is always looking for new advances and products, which will help her patient’s keep their teeth and gums healthy for life. She also has a particular interest in treating advanced periodontal cases as well as nervous patients. Outside of work Ciara loves to keep fit by playing gaelic football and going to the gym. She also loves to socialise with friends and read a good book.